Why Study MBBS In China ? Study In China Is Now A Lot Closer Then You Think. The world has become well aware that China's influence in the world economy and global policy is growing.The People's Republic of China (PRC) ranks since 2010 as the world's second largest economy after the United States. It has been the world's fastest-growing major economy, with consistent growth rates of around 10% over the past 30 years. On March 2011, Ministry of Education of the People's Republic of China announced a total of 265,090 international students were studying in China in 2010.MBBS (Bachelor of Medicine & Surgery) in China is big trend for International Students right now, Affordable Cost, Peaceful And Beautiful Environment, Advanced Infrastructures, English Medium Teaching.Most Importantly Completing English medium MBBS in China from the Recognized Medical Universities By WHO(World Health Organization) is a well deserved career in Medical field and is Recognised throughout the World. Moreover, the system of Higher Medical Education In China is well formulated, advanced and at par with the western countries like USA, UK, CANADA & Australia.Studying in China may be the best possible way to adventure. In addition to picking up Chinese skills, you will also learn about a fascinating culture and a very different way of life. Study MBBS In Guilin Medical University One Of The Best University Recognized By WHO(World Health Organization),UNESCO,CMC(China Medical Council),Also Approved By PMDC. Admissions Are Open For 2014. 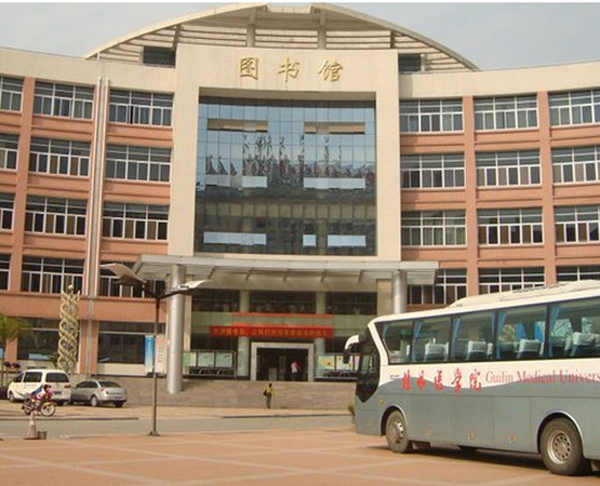 GLMU is an undergraduate university directly under the administration of Guangxi Zhuang Autonomous Region. Founded in 1935 from the former Guilin Senior Nurse Midwifery School, GLMU was upgraded and renamed as Guilin Medical School in 1958. Approved by the former State Education Committee in 1987, the school was upgraded to Guilin Medical america.html for undergraduates. In 1993, Guilin Medical america.html was approved by the state of Ministry of Education and the State of Management Bureau of Chinese Traditional Medicine to have the qualifications to offer undergraduate programs to international students both in medicine and traditional Chinese medicine, and what’s more, it has a certain number of government scholarships to offer to candidates of international students every year. GLMU passed the undergraduate teaching work evaluation at the first attempt in 1996. It gained the qualification to conduct postgraduate programs to students and in December of the same year it was evaluated and accredited a “distinguished University” by the Ministry of Education of China in the undergraduate teaching work evaluation. Currently, Guilin Medical University is a medical and pharmaceutical institution of higher learning with good fame and influence in and out of Guangxi Zhuang Autonomous Region, giving priority to clinical medicine and also integrating pharmacy, biotechnology, medical assay as well as nursing into a multi-specialty harmoniously-developed university with stronger comprehensive power. This university has 10 dependent colleges (faculties), including america.html of Basic Medicine, america.html of Clinical Medicine, america.html of Clinical Medicine of Nanxi Shan，the Second america.html of Clinical Medicine, the Third america.html of Clinical Medicine, america.html of Pharmacy, america.html of Biotechnology, america.html of Nursing, america.html of Continuing Education and america.html of International Education, together with 3 teaching departments including Department of Human Social Science, Department of Foreign Languages, and Department of Physical Education. Additionally, there is 1 directly-affiliated hospital, 4 non- directly-affiliated hospitals，22 teaching hospitals and more than 100 teaching and practice units. Clinical Medicine is the key specialty in Guangxi. Besides, GLMU has 2 key disciplines at the, 4 key construction disciplines, 2 key laboratories and 3 key construction laboratories; 1 excellent talent innovative team of the institution of higher learning of Guangxi; 2 teaching teams of the institution of higher learning of Guangxi, 2 experimental teaching demonstration construction center at the provincial level and 3 disciplines are able to enroll postgraduates. Besides, there are 12 distinguished courses. After more than seventy years of construction and development, the scale of the university has consistently been enhanced and elevated with each passing year. In turn, the university is getting stronger and at the same time, the teaching quality is being improved steadily. Furthermore, the university has been cultivating increasing numbers of practical medical talents. Over the recent three years, the proportion of undergraduate students taking up a medical-related occupations has been being retained over 93 %,making positive contributions to medical care and to the health service of Guangxi,the country and the world as well. Definitely, the fame and reputation of the university is being increased year after year.